The Untold Story Of WWE Superstar Undertaker Is Revealed! LOS ANGELES, CA – BOOM! 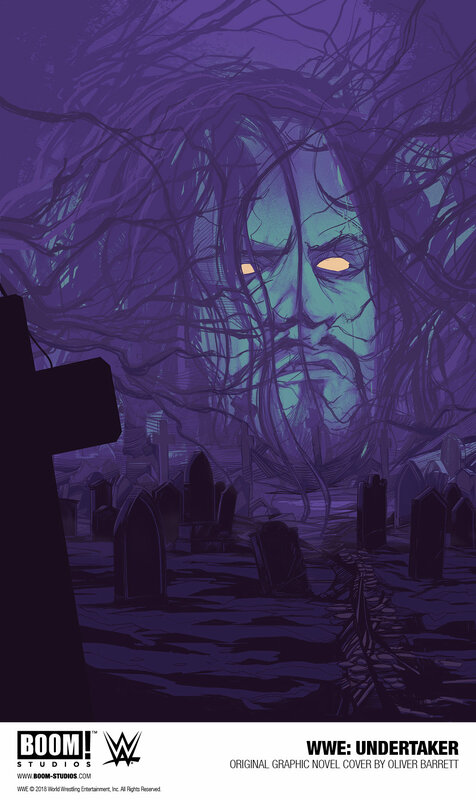 Studios and WWE announced today WWE: UNDERTAKER, an all-new original graphic novel exploring the career of the legendary Superstar, considered one of the greatest performers in WWE history. For the first time, novelist, journalist, and combat sports expert Chad Dundas (Champion of the World) and artist Rodrigo Lorenzo (WWE) chronicle the unrivaled career of Undertaker, with new revelations and surprises about some of the most pivotal moments in his more than twenty-five year history in sports entertainment.